A native of Edmonton, Canada, Douglas Bevans is a multi-disciplined artist experienced in 3-D graphic design and a songwriter with 20 years of creating and producing music. (In his other life, he runs an educational tour company for children.) The eight-time Burner enjoyed a successful career as a founding member of a popular rock band, “the smalls,” which toured extensively throughout the world. Since it disbanded in 2001, Bevans has explored new genres of music independently and through innovative collaborations. In his last one, he produced and provided music for an avant garde album showcasing the surreal poetry of an autistic artist known as Hobbins. In his current music, he’s working with abstract electronica and found sound. Last year, Bevans was awarded a coveted composition residency at the Banff Centre. 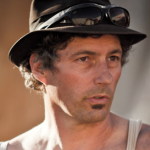 While there, he wrote a song that inspired the vision of a mythical horse on the playa. 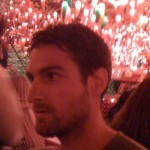 The Trojan Horse project will be his highest artistic achievement as a designer and as a composer. Alaya Boisvert was born at home on Canada’s Sunshine Coast, where she continues to find personal and artistic inspiration in the quiet of the forest or by the moonlit seaside. A world traveler, she has worked in community development, marketing, indigenous rights, and public consultation both domestically and abroad. Boisvert received a Master of Science in Strategic Leadership towards Sustainability at the Blekinge Institute of Technology, Sweden. 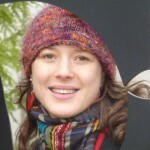 Her experience in sustainable development includes working with the David Suzuki Foundation and The Natural Step Canada. Presently, she works at the University of British Columbia in the Faculty of Applied Science developing and implementing community-based experiential learning opportunities that enhance student learning and respond to the priorities and goals of local community partners. With 10 years of leadership positions in community, academic, and corporate settings, she endeavours to be of service in all facets of her personal and professional life. 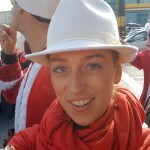 Boisvert first experienced Burning Man in 2008 and has enthusiastically committed herself to the Trojan Horse project, seeing it as a culmination of the best the festival has to offer. Fox was raised in California’s Central Valley and is a 25-year Oakland resident. He has been a journeyman carpenter, a professional musician and songwriter, a computer programmer, an acrylic on canvas impressionist artist, and a land acquisition underwriter/analyst for two Fortune 500 developers and a British-American conglomerate. He holds a BA in Environmental Studies, has presented to the Association of American Geographers, and conducts an annual seminar on infill development in the Bay Area. He spends his free time landscaping his property in Bodega Bay and researching/studying exoplanet discoveries, creating Google KML scripts to render his findings. He enjoys traveling whenever possible, especially to visit his family in Catalunia, Spain. Fox has a particular fondness for Spanish/Arabic-influenced music and a beautiful lyric tenor voice but prefers singing in the manner of Captain Beefheart and Tom Waits. This will be his fifth trip back home to the playa. 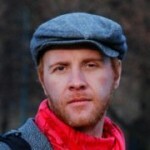 Jay Mosher is a visual artist living and working in Calgary, Alberta. Since graduating from the University of Lethbridge in 2005, he has exhibited his work in various artist-run and institutional galleries both in Alberta and nationally. His art focuses on site-specific, sculptural, and collaborative works exploring the potential of materials, objects, landscape, and space working together. The result is a reimagining of environments using novel ideas about nature, history, popular culture, and the sublime. It involves experiencing while straddling lines of imagination and memory, bridging gaps with one eye closed, and sourcing ideas in art along the way. In this context, Mosher shapes his projects, creating thrilling and poetic alternatives for the here and now. In 2010, he was able to make a round pane of glass almost five feet in diameter stand vertical and spin clockwise in the Badlands of Alberta. In 2011 he hopes to trump this spectacle with his collaborative mates by building and burning the Trojan Horse. 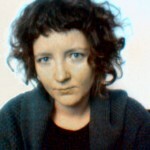 Eva Schindling, an Austrian, is a new media artist and creative technician practicing in the interdisciplinary zone encompassing art, science, technology, and design. Fascinated by complexity and the nature of reality, she uses code, sculpture, electricity, and visuals to show the beautiful mystery of fundamental truths that surround us but are rarely seen. Schindling has a MSc. in Art and Technology from Chalmers University in Sweden and a degree in Interaction and Media Design from FH Joanneum in Austria. Her work has been shown at the Japan Media Arts festival, Hong Kong’s Museum of Art, Finland’s Live Herring exhibition, the Pixxelpoint festival in Slovenia, and the Ars Electronica. Recently she worked as a research assistant at the Banff New Media Institute in Canada, exploring the emergence of complexity from electronic circuits, rapid prototyping possibilities for data visualizations and encounters with the fourth dimension in a virtual reality CAVE. Now living in Montreal, her current art projects include sound reactive visuals for a violin artist, a feedback installation of dreams, and developing relativity-sensitive clocks. This will be her first year at Burning Man. Ariel Sutro was raised on a farm in Half Moon Bay, California where she spent her youth building forts and running wild. A graduate in International Management from The American University in DC, after travel and studies in the US, Scotland and Italy, she’s lived her adult life in San Francisco. With a passion for what’s real, Sutro is a recruiter, event planner, networker, producer, and manager of promotional and public relations campaigns. She has conducted qualitative research on consumer behavior for national clients such as Yahoo!, GAP, Conde Nast, and Cirque du Soleil. Now, she directs marketing and sales campaigns for high-density urban residential developers in the Bay Area. She is active in her community, participating in sustainability research projects with SPUR, a non-profit planning and advocacy group, and is co-founder of the Alamo Square Movie Night in her neighborhood. Her personal and professional experience is now integrated with Burning Man as she participates in projects which improve upon the built environment each year. The Trojan Horse and Troy Camp are an appropriate expression for her 10th anniversary as a Burner. Raised in New York and Pennsylvania, Eric Swenson came to the West Coast in 1965 to attend the University of Washington and become an English professor. After way too many years pursuing a PhD and being a college instructor, he stopped teaching writing and started doing it. Since then, he has written or co-authored seven books and hundreds of articles on subjects as diverse as baseball, DNA, bioterrorism, health, and both commercial and sports fishing. Recent assignments have taken him to Guatemala, China, Costa Rica, and New Zealand. 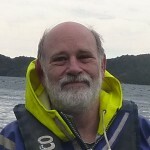 Since 2010, he has coordinated the Productive Oceans Study Group, an international panel formed to address seafood sustainability issues, especially ocean acidification. He is also the sole proprietor of a bamboo nursery and niche landscaping business specializing in Asian-style and healing gardens. 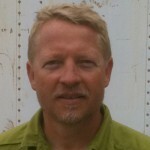 Swenson has a passion for using rock, plants, and water to create sacred spaces that nourish the body, mind, and spirit. 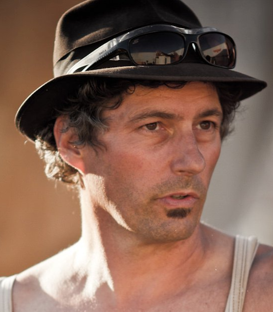 In 2007, he produced and directed “Burning Vignettes,” a documentary about why people go to Burning Man. Swenson will celebrate his first decade as a Burner in 2011. Chris Webb is a Bakersfield native, but spent his formative adolescent and teen years in France where his father worked as a minister. He studied art, history, religion, philosophy, and literature as an undergrad, then earned a Master’s degree in trans-global business from St. Mary’s College in Moraga. He is a self-taught craftsman, having worked as an Electrician, Instrument Fitter, Digital Controls Technician, Master Mechanic, and Utilities Engineer. His career spans the utility, petrochemical, entertainment, and biotech industries. He most recently served as Engineering Operations Manager for Bayer (previously Novartis and Chiron). Webb loves to swim, sauna, sail, brew beer, distill spirits, hike, scuba dive, and build great art. He has travelled extensively and recently spent six weeks in the Peruvian jungle and highlands. He relishes immersing himself in other cultures and better understanding the human experience by seeing life from new perspectives. Webb lives in the East Bay with his wife Sana, a multi-media artist. This year will be his fourth Burn in the last five years.